Secret Wars was a huge mystery to me. The comic series had a ton of people in it and there was a huge crossover, so I didn't know who would be featured. 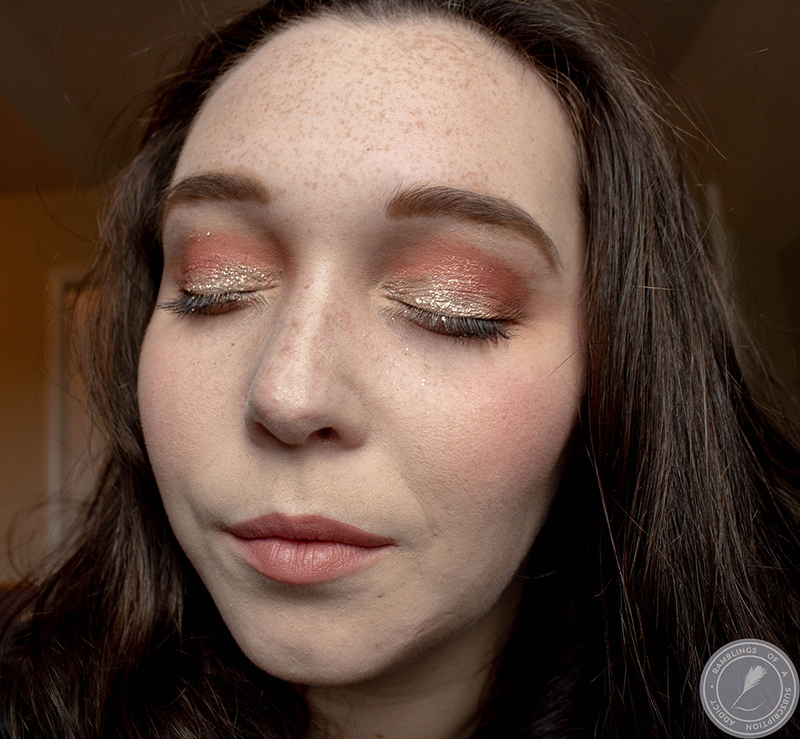 I had read ideas that had been posted on Facebook, so I knew what I wanted. Let's see if I got it! 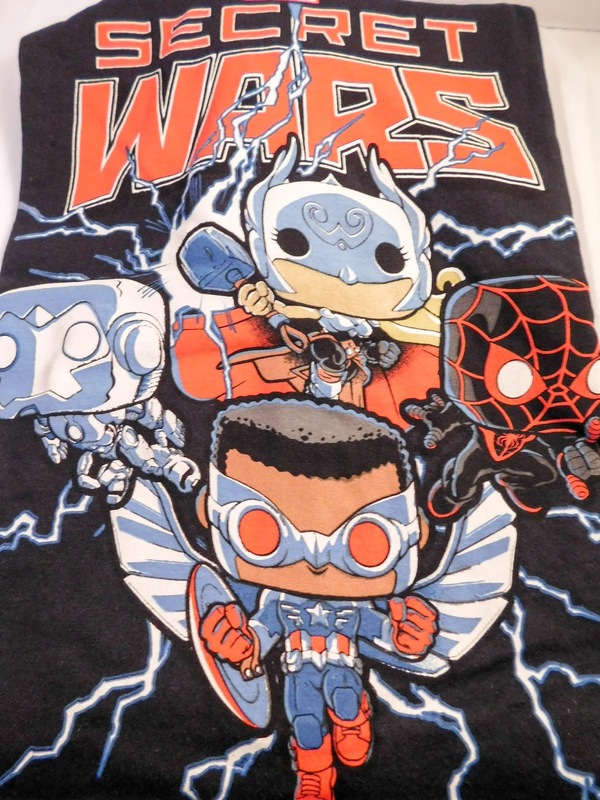 Secret Wars T-Shirt ($15.00?) - I love the t-shirts that they include. They are always a really high quality prints and the shirts are very nice as well. The characters are so cool and I love how it's the newer main characters, and gives me hope that they will become more popular in the movies and maybe get their own as well...? 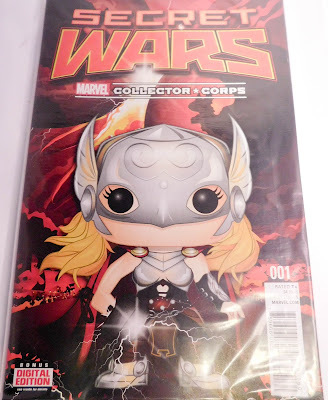 Secret Wars Comic ($4.00?) 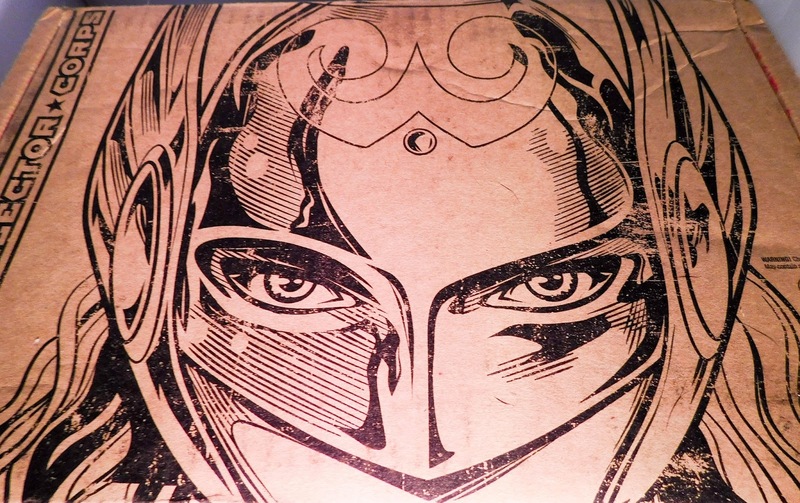 - Lady Thor!!! 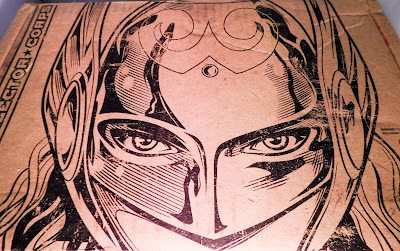 Or as she is called now, Thor. I'm glad that they sent the first comic in the series, because I know some people read them and they prefer to get the first. I'm super pleased that it came wrapped as well, because I want to leave them mint! 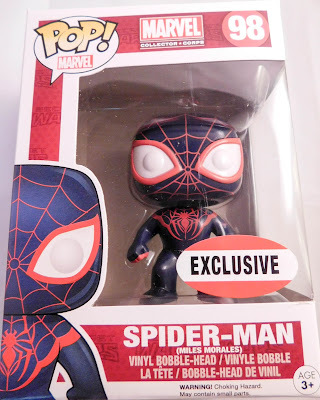 Funko Pop Vinyl (Spider-Man Miles Morales) ($20.00?) - I'm definitely loving the darker Spiderman. 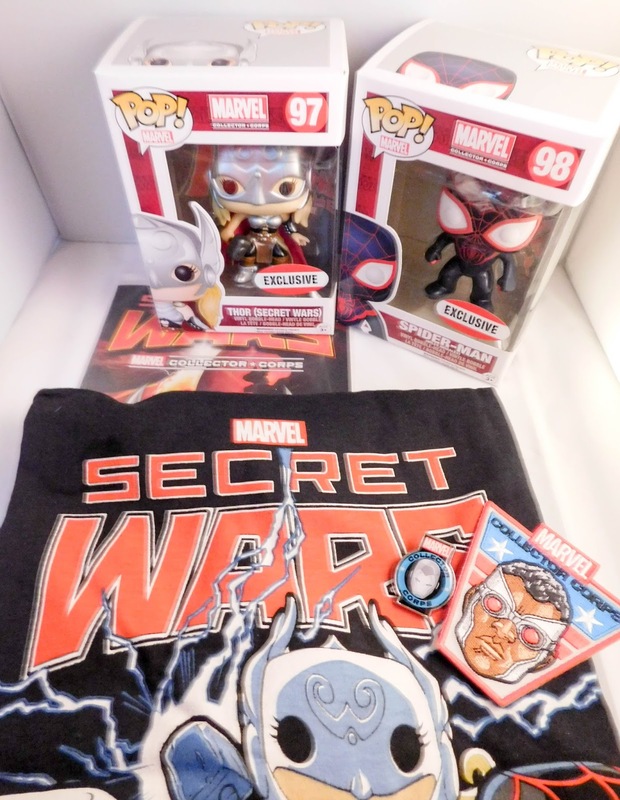 I'm going to admit to being a bad nerd, I haven't read the comics with Miles Morales in it. I'm definitely interested after seeing this, though, and I'm going to find digital versions of them to check up on! 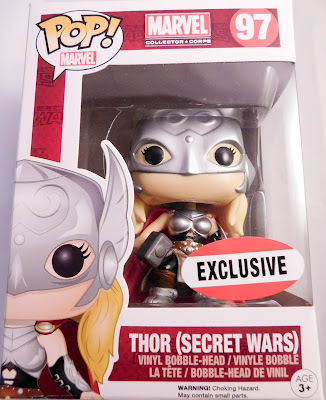 Funko Pop Vinyl (Thor Secret Wars) ($20.00?) 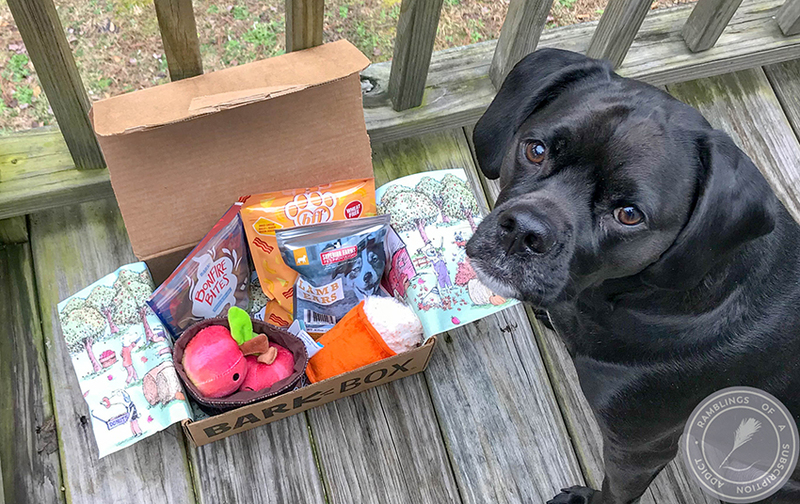 - This is amazing, two Pops in one box! This is definitely my favorite item from the box and definitely one of my favorite Pops I've ever had. I love that Thor is a female in some parts, and I love that they made a Pop for her! Marvel Collector Corps Patch ($5.00? 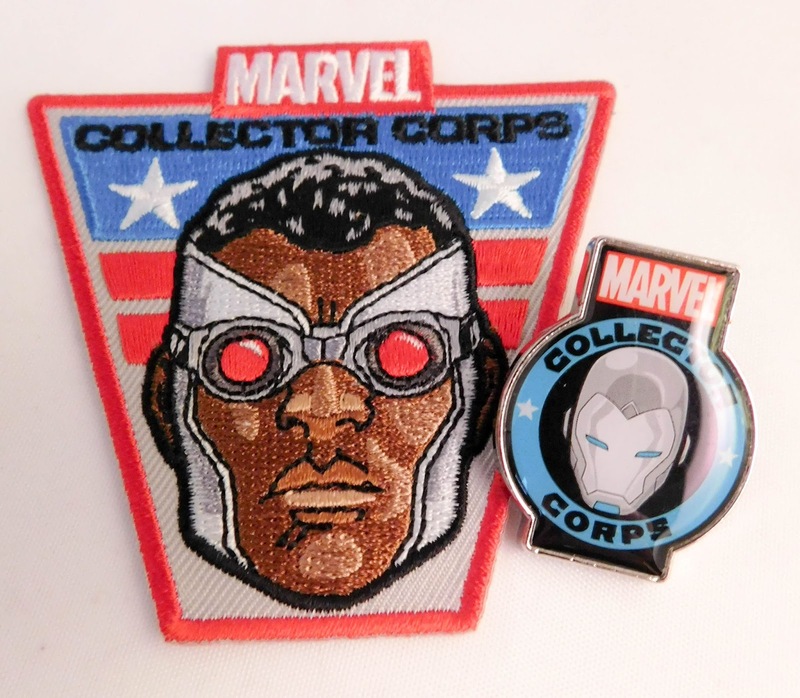 ), Marvel Collector Corps Pin ($5.00?) - The patch and pin from this month are awesome, and they tie together the other two items to the T-Shirt. This box definitely bounced back from the last box, which wasn't my favorite theme. The fact that it's all characters that aren't currently in Marvel movies makes me think they are all going to be featured soon. 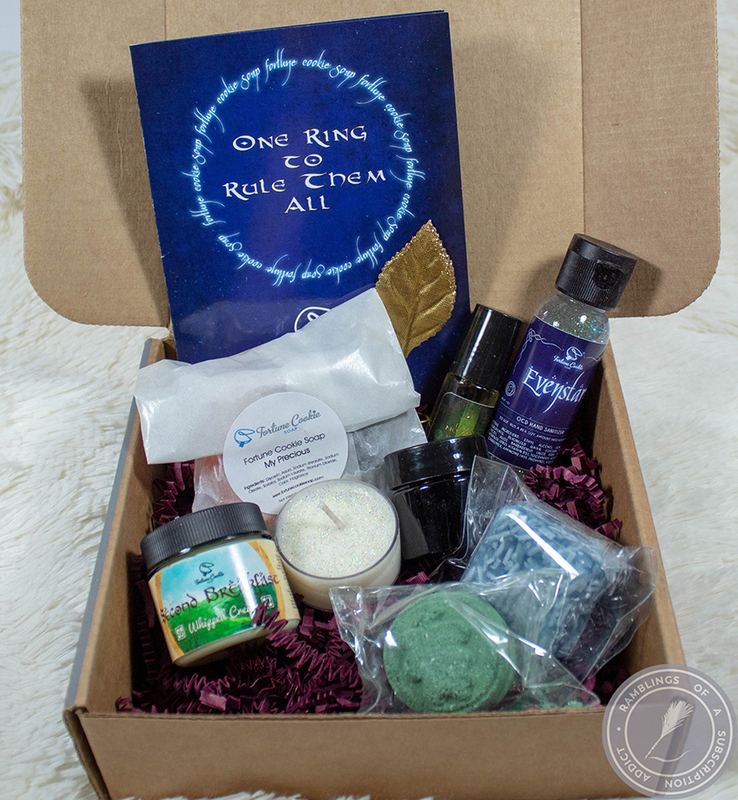 If you sign up today, you will start with the October box, which is Villans themed.